Cirque du Soleil returns to Oklahoma City in April with OVO, the thrilling circus production that has been wowing audiences worldwide on its latest tour. The family-friendly big top production of OVO is scheduled for six performances, April 6-9, at Chesapeake Energy Arena in Oklahoma City and Tickets at Work has savings for the final two performances, April 8 & 9. 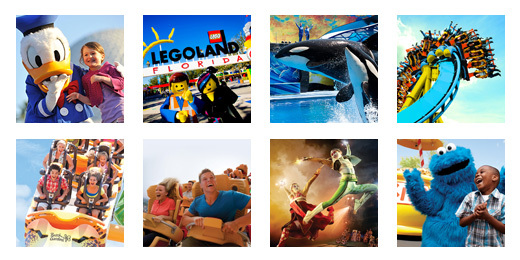 Check out this special ticket offer from Ticketsatwork.com: Save over 45% on select seats! The exquisitely produced OVO is a stunning, theatrical presentation that wows the imagination – and further underscores Cirque du Soleil‘s creative innovation. OVO, meaning “egg” in Portuguese, tells the story of a mysterious egg that appears in the midst of an insect colony. The insects are awestruck and intensely curious about this iconic object that represents the enigma and cycles of their lives. It is love at first sight when a gawky, quirky insect arrives in this bustling community and a fabulous ladybug catches his eye – and the feeling is mutual. The cast of OVO features 50 performing artists from around the globe specializing in amazing acrobatic acts. One highlight of OVO is Slackwire, where a Spider defies gravity and physics in a succession of seemingly impossible feats of strength and balance as he traverses a wire that appears to give him no support. There’s also the thrilling Wall, which features a dozen artists running, jumping, and walking across—and straight up—a vertical wall without artificial support. Air mat and trampolines give them the speed, lift and momentum to take flight. Their athletic ability, physical strength and team coordination take care of the rest. Grab your special ticket savings from TicketsatWork.com today for the final performances of OVO playing April 6-9 at Chesapeake Energy Arena in Oklahoma City.